4. DCT based transform domain steganography method. 5. A Variable bit embedding high capacity steganography for binary image and text message. 6. A LSB based steganography for Video stream. 7. An Automatic wavelet based nonlinear image enhancement technique for aerial imaginary. (IEEE 2010). 8. A Novel Approach to Medical and gray-scale image enhancement. 10. Image Enhancement using Histogram equalization and brightness preserving bi-histogram equalization. 12. Face recognition using PCA and Eigen face approach. 13. License plate recognition using DCT. 14. Voice Recognition using various filters. 15. 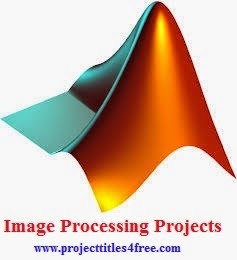 JPEG2000 image Compression standard in MATLAB using DWT. 16. JPEG image compression standard using DCT. 18. Advanced SPIHT (Set portioning in hierarchical trees) using Huffman coding. 19. EZW (Embedded Zero tree coding). 20. DCTbased image compression for color images. 21. DCT based image compression for gray-scale images. 22. DWT based image compression for both color and gray-scale images. 23. DWT based audio De-noising. 24. DWT based audio filtering. 25. Image fusion using Maxima, Minima, Average and Weighted Average. 26. Image fusion using Principle component analysis (PCA). 27. Image fusion using DWT (Discrete Wavelet transform) & SWT (Stationary Wavelet Transform). 28. Performance analysis and implementation of Advanced PCA+DWT technique. 29. Image fusion for Medical Images. 31. Content based image retrieval (CBIR). 32. Automatic detection of diabetic retinopathy. 33. Automated defect recognition & evaluation of steel coating conditions using Eigen values.